I finally bought a bass rig. I don't really play bass, but I am learning. :) I bought it mainly for recording purposes and for the occasional impromptu jam when someone comes over that can actually play bass! 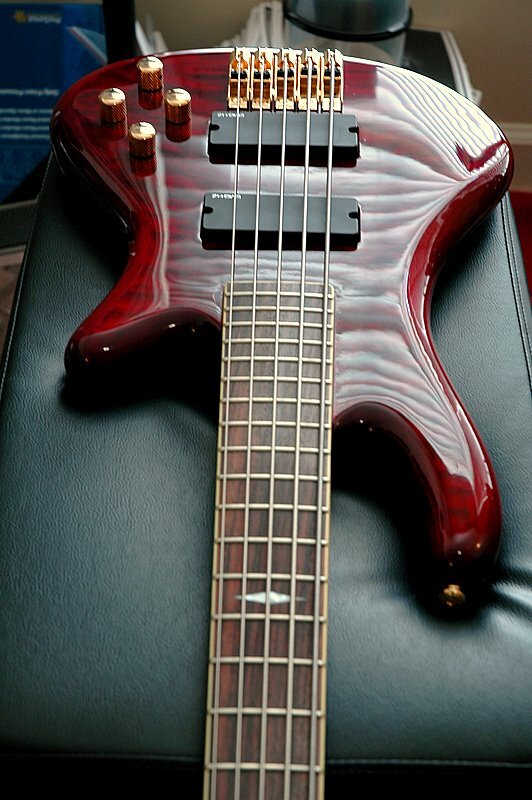 The Schecter bass I bought is a 5 string, and it's pretty good. I really wanted a nice Ernie Ball, or Fender Jazz bass but I figured that this would be a great bass to learn on and later I can up the ante by buying a better one. 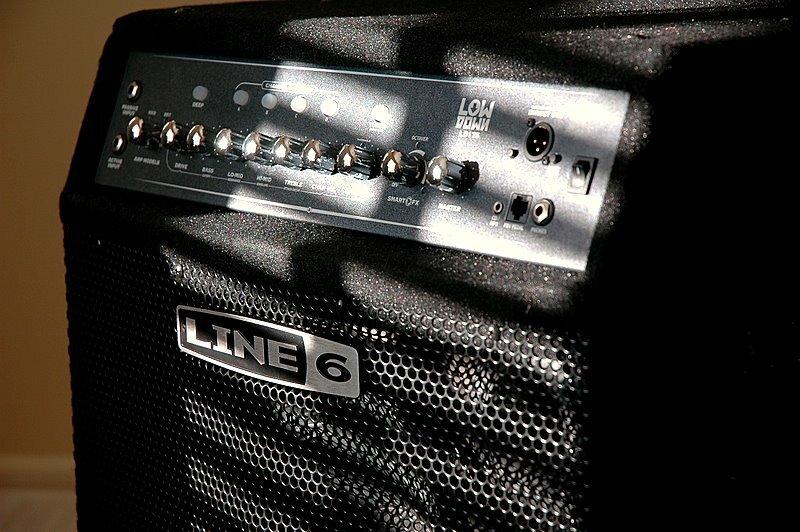 The Line 6 Low Down amp is the LD175, 175 watt, 15" speaker model with tweeter horn that can be enabled or disabled. It's got about 5 bass amp models and some effects, and it's LOUD. 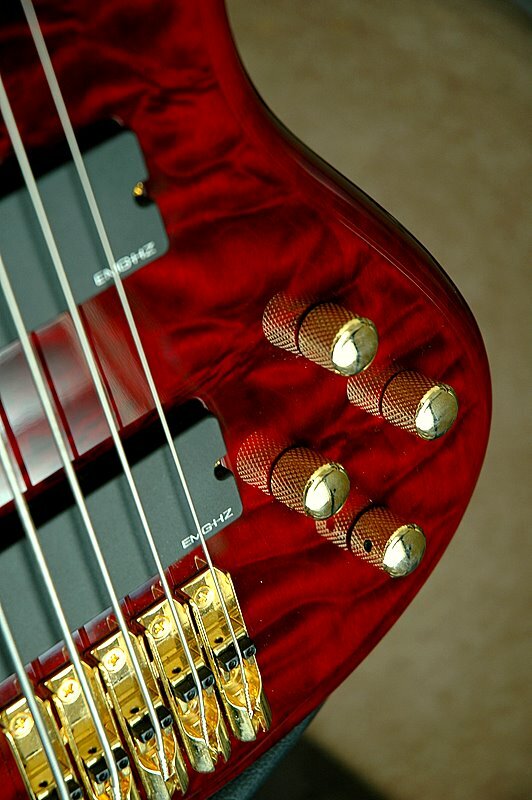 :) The Schecter has passvie EMGs with active tone, bass and volume electronics. It's super easy to dial in a plethora of bass tones... everything from super "bassy" reggae sounds to super crisp funky stuff. I have already gotten a lot of use out of it for recording roughs, and it's already been used a couple of times by some visiting bass players. So far it's been a great investment.